Put everything in a blender and blend until smooth and creamy. 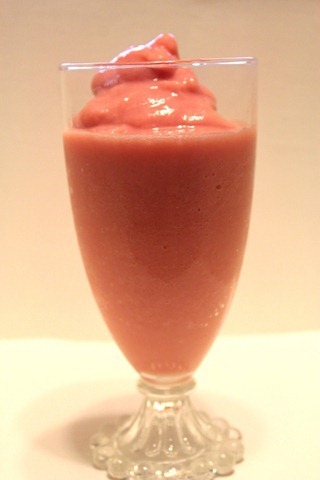 I added the strawberries first so they are closet to the blades and get blended smoother. Then I added the ice, yogurt and then juice. Blend away! 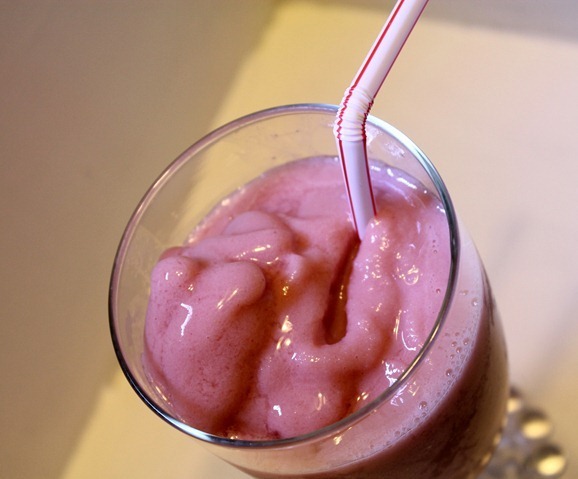 If your smoothie is too thick add a little more juice, if it’s too thin add a little more yogurt. I put mine in a pretty glass just to make it extra special!